Salaroll pump clean up system for oil and chemicals is a unique patented system designed for recovery and cleanup of Oil spills and other high viscous and polluted liquids. The extremely strong suction (vacuum) and the debris tolerance of 37mm, (1 1/2”) solids make it suitable for pumping debris laden viscous oil. The extremely high discharge pressure makes it possible for liquids to flow through a long distance of hose. The combination of handling weight and portability enables the user to deploy the system in remote areas. The function is achieved with a peristaltic type of pump. A very strong hose is compressed by a rotating wheel. The suction is developed when the hose with its own force returns to its round shape. Discharge pressure is created by the force of the wheel moving the media. No mechanical parts will come in contact with the pumped media. 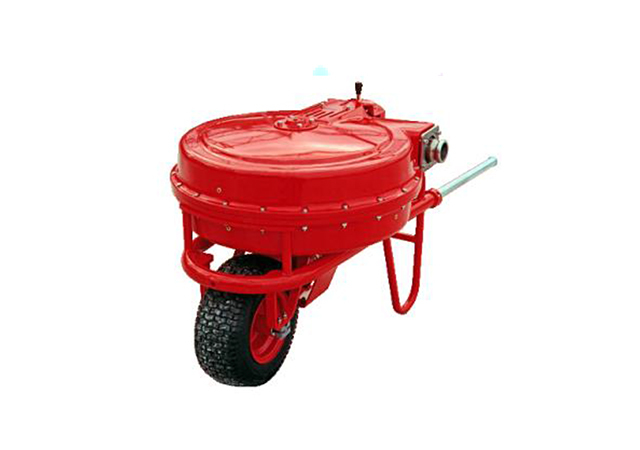 The ease of transporting the system is further enhanced by handles that attach to both the pump and power pack for lifting in difficult terrain or by wheeling it as a wheel barrow. An all-terrain vehicle or band driven vehicle attached to a trailer is available to transport the pump and power pack to the impacted area. The trailer can also be used for transporting smaller amounts of oil in sacks or barrels to the collecting area.